Salford Pride in Practice was a partnership project delivered by LGBT Foundation and Salford CVS. It was funded by Salford Clinical Commissioning Group. 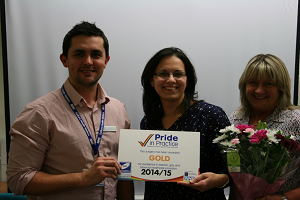 Pride in Practice is a quality assurance service that strengthens and develops a GP Practice’s relationship with their lesbian, gay and bisexual patients in their local community. The Salford project ran for 12 months commencing April 2014 and offered opportunities to all Salford GP Practices to engage. The Salford project involved volunteers to gain user perspectives and test the implementation of the award. The project had some key successes which are identified in the evaluation report attached below. The report details the commitments and recommendations to be made towards creating further impact to improve the experiences of and health outcomes for lesbian, gay, bisexual and trans people in primary care across Salford. A core team of 4 volunteers (3 of whom are Salford residents) were engaged by the project in evaluating the effectiveness of services from an LGB patient perspective. LGBT Foundation will continue to provide telephone support to GP Practices via the professional helpline and to support GP Practices to access LGBT targeted resources. Salford CVS and LGBT Foundation will continue to work in partnership to provide the best volunteer opportunities for service users. 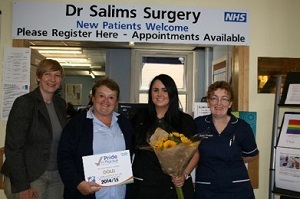 The impact created by the project indicates an immediate greater positive experience of LGB patients in Salford as well as the potential for improved health outcomes in the longer term. 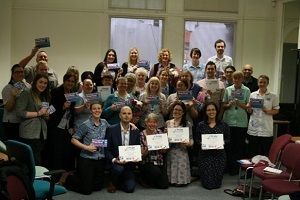 The Pride in Practice project recommends making sexual orientation monitoring on the patient record mandatory for all Salford Primary Care providers and that this best practice and learning is carried through to wider services.